Buzzed is a beer based 3D printing filament made using waste byproducts from the beer making process. You will earn 40 loyalty points with this purchase worth £0.40 that you can use on this order. 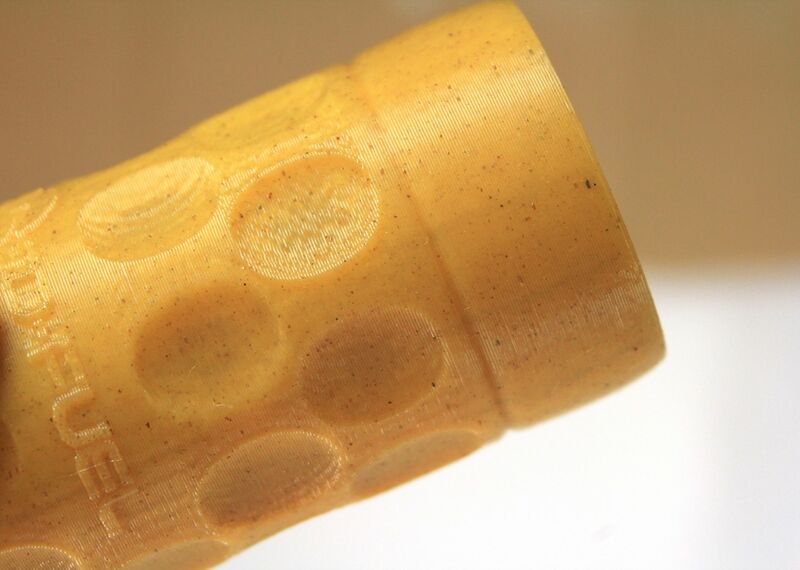 This is the second in a line of intriguing materials from 3D-Fuel called the c2composites. At 3Dom USA we have a well equipped 3D printing test bench with many popular 3D printers. 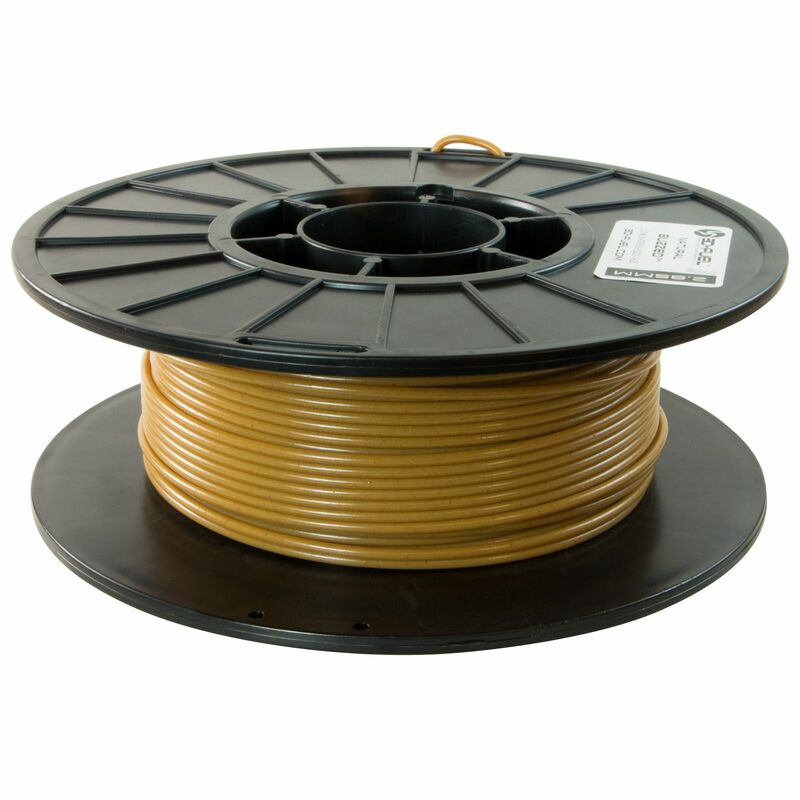 We know our materials will give you excellent results and to help you achieve these results we’ve developed some tips and tricks for using 3Dom USA Buzzed – Beer 3D printer filament. Nice, cooperative PLA. Doesn't really smell like beer. Not like "beer" beer, but it does have a nice, pleasant beer grain smell. 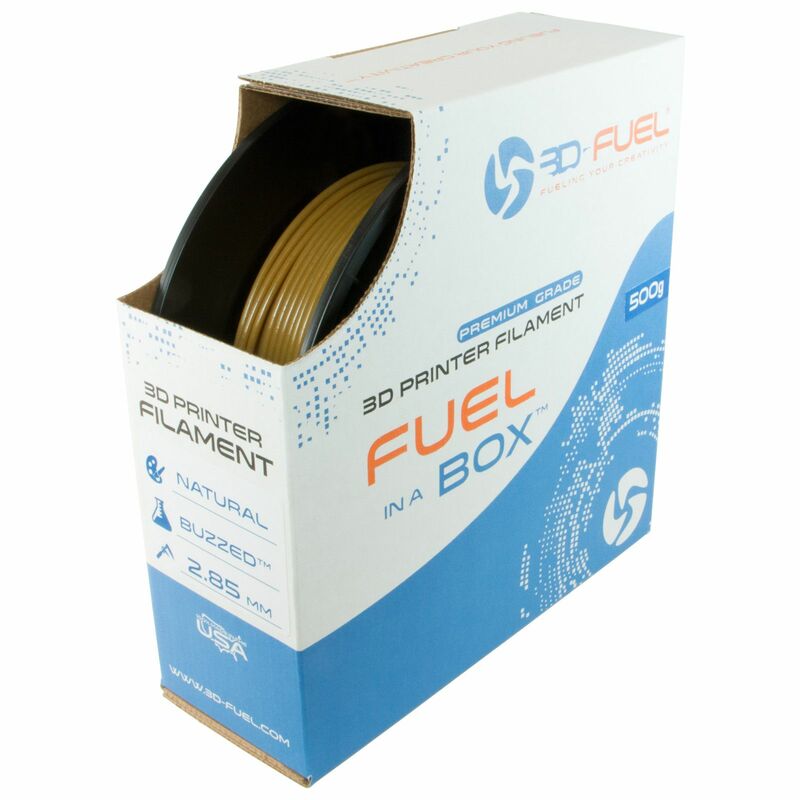 This has been a fun, conversation starting, beautiful printing filament.The color is unique, the finish is very smooth and shiny, the strength is great, and every time you show someone a print you get to tell the story of what it is printed with. We're so glad that you like it so much! 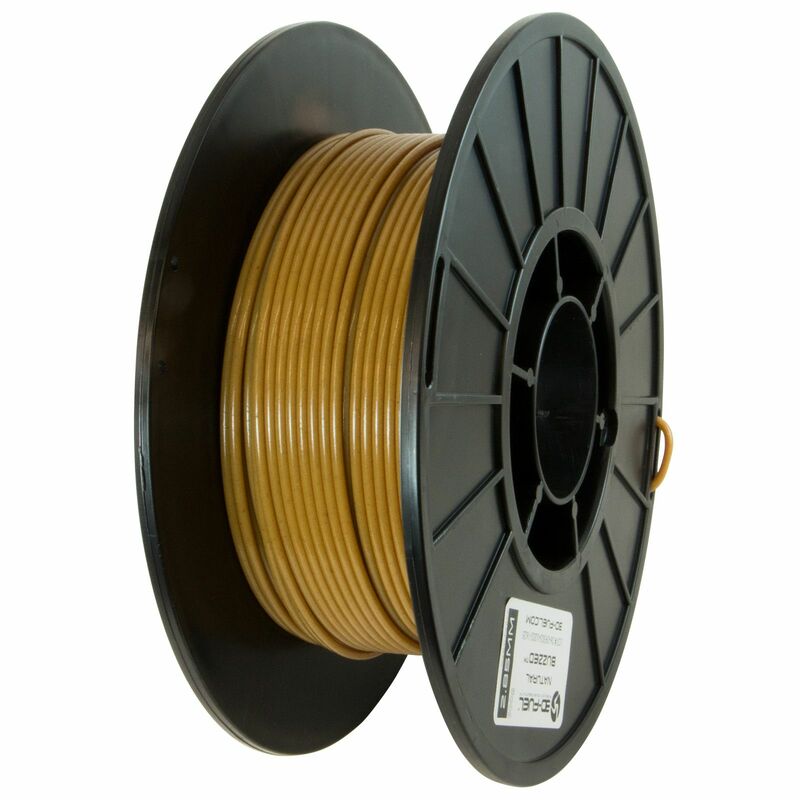 We are big fan of the "Buzzed-Beer Filament" filament, it prints awesome! Glad to hear that you like it so much! Glad to hear that it is working so well for you! Great product. unique. Prints easily and has a great texture. The material works just like PLA and works really well!!! We're glad to hear that stock PLA settings are working well for you. It makes it so much easier to just get up and printing! Each thing I make feels like a soft candy almost. Overall it prints well and so far I haven't had any jams from it which is impressive and nice. Help I'm Wasted and I can't stop printing with this stuff! The stuff is great. I started at the low end of the recommended settings for the print parameters, and it works beautifully. So nice. Not as Malty smelling as I had thought, but pleasant. First print went came off with out a problem. I used 180ºC for the hot end and 45ºC for the heated bed with some glue stick on it. Easy to Print, excelent quality finest finish! Not only is it great to print beer mugs out of beer, but this is just great filament to print with. One of my new favorite filaments! Nice depth to the finish thanks to black flecks and a bit of transparency, somewhat reminiscent of bakelite. Printed great for me at 215º although bottom flat support took a bit of effort to remove - lower temp would probably help. Very hard and quite brittle. Stinks when you first open the bag but that goes away quickly. Smells like wood when printing.